If you listen to Tepco and Japanese officials, you are bound to be confused about how bad Fukushima’s lasting effects really are. One moment they say everything is under control at the Fukushima nuclear plant, and the next they’re admitting radiation levels are 95% higher than originally stated. One would have to be awfully trusting or awfully ignorant to think the radioactive water spilling into the ground and eventually the sea wouldn’t spread throughout the world. The West Coast of Canada and the US is already seeing some effects. Each day, 300 tons of radioactive water is spilling into the Pacific Ocean. The amount in the ocean and the global water supply is growing every single day, and ultimately impacting wildlife and our food supply. Whether you live on the West Coast or in the middle of the country, this should concern you as it will eventually affect us all. 1. Tuna caught off the coast of California are contaminated with radiation. One test that studied 15 tuna found that all 15 had radiation contamination above and beyond what is normal for that area. Cesium-134 and cesium-137, which the fish were contaminated with, does not sink to the ocean floor, but rather contaminates the sea at all levels where fish swim through it, ingest it, or eat organisms that have already ingested it. Interestingly, the scientists who tested the fish didn’t expect to find contamination, and were sadly proven wrong. 2. Something is causing herring to bleed from their gills, bellies, and eyeballs, according to Canada.com. It’s believed these symptoms could be a sign of viral hemorrhagic septicemia that could be spread into salmon and other fish varieties. While not proven to be linked to Fukushima radiation, there is little doubt the radiation could be impacting immune function of the fish, leading to higher rates of disease. 3. Sockeye salmon populations at historic lows. Recreational and non-aboriginal fisheries in an area of British Columbia have been shut down due to record low numbers of sockeye salmon. Fukushima radiation may be to blame. 4. Radiation off West coast is expected to double in coming years. Projections from German oceanographers estimate radiation levels from Fukushima will cause continued increases in West coast contamination over the next 5 to 6 years. 5. Fish imported from Japan is already contaminated. The Vancouver Sun tested fish imports from Japan and found cesium-137 at alarming rates, contaminating 73% of mackerel, 91% of halibut, 92% of sardines, 93% of tuna, 94% of cod and anchovies, and 100% of the carp, seaweed, shark and monkfish. 6. Radioactive plume expected to reach U.S. coastal waters soon. 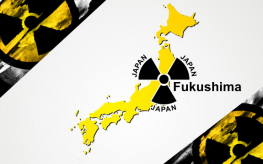 A large plume of radiation is expected to begin flowing into the coastal waters in the beginning of 2014 and continue throughout 2016. If we’re only thus far seeing the tip of the iceberg, what’s to come could be truly frightening. 7. There is an epidemic of sea lion deaths along the California coastline. 8. We could see very high levels of cancer along the West coast due to contaminated fish consumption.